Asakusa is a popular sightseeing spot in Japan especially for foreign tourists. There are many historical buildings such as shrines and temples so that you learn about Japanese tradition and history. Besides there are lots of izakaya (Japanese gastropub) and bars at this area. This time we’ll show you about izakaya “Akagaki” . “Akagaki” is a popular izakaya in Asakusa. The reason is that they use fresh ingredients just like those used in sushi restaurants. You can enjoy seasonal fresh fishes. This is the reason that this izakaya is popular for more than 100 years. You see 60 handwritten menus on the wall. The dishes are reasonable priced for about 500 yen per dish. So you can enjoy various dishes. The popular menu is sashimi of “Hikarimono”. (a sushi restaurant term for silver‐skinned fish such as kohada ( spotted shad ), mackerel, Atlantic horse mackerel and more) Especially kohada ( spotted shad ), mackerel tastes good with sake. The seasonal menus are “Hatsugatsuo( the Season 's first bonito)””Hotaruika( sparkling enope squid)” “mebaru (black rockfish)” in spring, “Aoriika(bigfin reef squid)””isaki (grunt)” in summer. In winter you can enjoy “shirako ponzu (soft roe with citrus-flavored soy sauce)” ”namagaki” (raw oyster). Besides there are many kinds of specially selected sake which are delicious with fish dishes. We recommend you to eat fish at Akagaki. Especially shimesaba is the most popular menu. Shimesaba is a mackerel seasoned with salt and vinegar. You can taste good fatty mackerel and also fresh because of salt and vinegar. Some people prefer to eat shimesaba than sashimi. Let’s enjoy delicious shimesaba at Akagaki. You can eat rare “kujira” (whale) sashimi at Akagaki. Though it is said that whale sashimi is typical taste, you can taste mild with garlic, ginger and soy sauce. It has a soft texture. Let’s try one. Around year 1600, before the capital moved to Edo (current Tokyo) Asakusa already became as a prosperous city – rich of business, culture and entertainment. The reason that Asakusa became a place like this is related to the Sumida River. According to legend, a statue of the Kannon which is enshrined in Sensoji temple was found in the Sumida River. By that this river has a strong historical relation with Asakusa. You still can feel the traditional historical atmosphere from temples, shrines in Asakusa. Let’s take a walk to find Japanese history. One of the famous dishes of Asakusa is dojō (freshwater loach) We recommend you to eat Yanagawa (hot pot dish with dojō and egg) at the popular restaurant “Iidaya”.You also can eat fried dojō or unajyu (lacquer ware box of rice topped with grilled eel). The interior of this restaurant is traditional Japanese style so that you can take off your shoes and relax. Let’s enjoy the unique taste and a traditional atmosphere. You can enjoy Asakusa for sightseeing and visit izakaya (Japanese gastropub). There are many izakaya at Hoppy Street so this location makes it a great place for bar hopping. 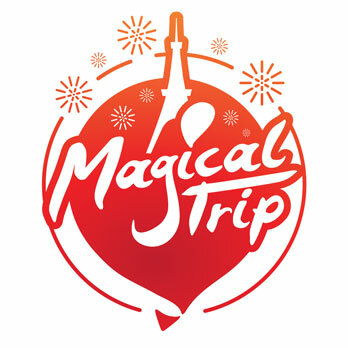 Let’s join a tour! A well informed guide will guide you to the typical places for photoshoot and izakaya. You’ll have a nice time with guests of this tour.